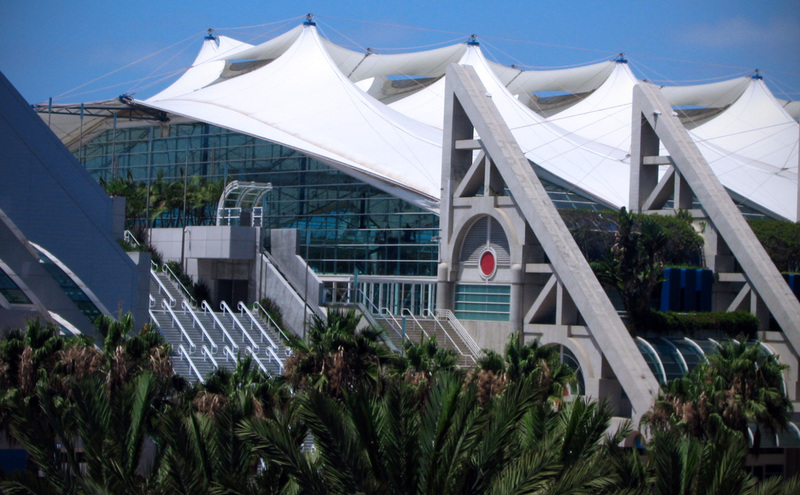 In the past few years the San Diego Symphony has held just one SDCC-related concert, usually on the Thursday night of Comic-Con. Last year it was “Distant Worlds: The Music from Final Fantasy” and in 2012 it was “The Legend of Zelda.” This year, they’ve expanded their Summer Pops lineup during Comic-Con to three shows, including “Danny Elfman’s Music from the Films of Tim Burton” and “Star Trek (2009) Film Screening with a Live Soundtrack Performed by the Symphony.” Also returning to the Pops is Video Games Live, which for the past two years has been a separate show. Single concert tickets are available on the San Diego Symphony web site. After a five year absence from Summer Pops, Video Games Live returns: popular game music themes given the full symphonic treatment just in time for Comic-Con. This visual and action-packed sensory extravaganza combines memorable video game music with synchronized lighting and even some real on-stage game-playing! This brand new orchestra event features composer Danny Elfman’s famous film scores brought to life on stage by orchestra, and enhanced by visuals on the big screen of Tim Burton’s original film sketches, drawings and story boards. Highlights include Beetlejuice, Edward Scissorhands, Batman, Big Fish, Corpse Bride and more! If you’re shut out of Comic-Con on Saturday night, or just love Star Trek, come down to the Embarcadero for a wide screen showing of the highly successful 2009 Star Trek film reboot featuring the San Diego Symphony performing the soundtrack LIVE. Special appearance by composer Michael Giacchino. The Symphony’s Summer Pops location is an outdoor amphitheater in Embarcadero Marina Park South, behind the convention center.